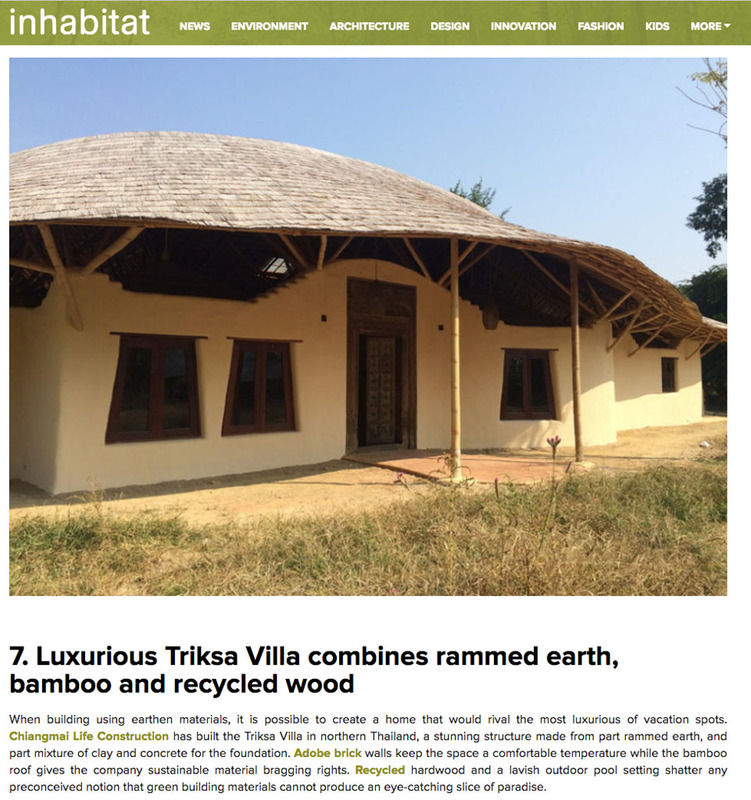 Inhabitat features Chiangmai Life Construction in its lead article of the day on 8 selected earth homes from all over the world. When building using earthen materials, it is possible to create a home that would rival the most luxurious of vacation spots. Chiangmai Life Construction has built the Trika Villa in northern Thailand, a stunning structure made from part rammed earth, and part mixture of clay and concrete for the foundation. Adobe brick walls keep the space a comfortable temperature while the bamboo roof gives the company sustainable material bragging rights. Recycled hardwood and a lavish outdoor pool setting shatter any preconceived notion that green building materials cannot produce an eye-catching slice of paradise.